We previously wrote about this issue as it relates to the Second Circuit’s revised preliminary injunction standard. Impact of Second Circuit’s Preliminary Injunction Standard After Salinger, NYLJ 246:88 (Nov. 4, 2011). For several decades, it was accepted that a showing of trademark infringement created a presumption of irreparable harm, since trademark infringement requires a showing of likelihood of confusion, and that kind of reputational harm is generally considered irreparable. However, that was undermined by two Supreme Court decisions, eBay Inc. v. Mercexchange, LLC, 547 U.S. 388 (2006) and Winter v. NRDC, Inc., 555 U.S. 7 (2008), which dealt with, respectively, permanent and preliminary injunctions. After eBay and Winter, the Second Circuit held in Salinger v. Colting, 607 F.3d 68 (2d Cir. 2010), that the presumption of irreparable harm does not apply in a copyright case. District courts in the Second Circuit followed suit in trademark cases. Likewise, the Ninth Circuit held in Herb Reed Enterprises, LLC v. Florida Entertainment Management, Inc., 736 F.3d 1239 (9th Cir. 2013) that, after eBay and Winter, the presumption of irreparable harm did not apply in a trademark case. That set up the decision in Adidas. Skechers did not dispute that Adidas owned a valid trademark, but disputed likelihood of confusion. Likelihood of confusion is generally determined by review of various factors (in the Ninth Circuit they are known as the Sleekcraft factors). In Adidas, the Ninth Circuit upheld the finding of likelihood of confusion: Skecher’s shoe bore a similar (although not identical) three-stripe design; Adidas’ mark is commercially a very strong one; and the goods are the same, sneakers. 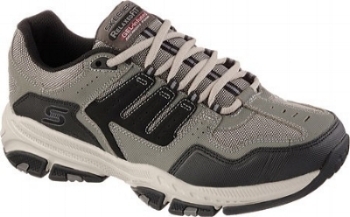 Skechers argued that the use of its own SKECHERS logo on the shoe negated a likelihood of confusion. But whether the use of a house mark (or here logo) negates confusion is a question of fact, and in this case the district court’s finding was at least not clearly erroneous because the logo was not sufficiently prominent and thus could not be read from more than a few feet away. Adidas’ confusion theory rested on the concept of post-sale confusion. The Lanham Act defines infringement as use of another’s mark (or a colorable imitation) that is “likely to cause confusion, or to cause mistake, or to deceive.” 15 USC 1114(1). Traditionally, this meant the consumer at the point of sale would be confused when deciding what to purchase. However, over the years, courts have recognized other forms of confusion. Post-sale confusion is one type – meaning even if the purchaser themselves understands whose product they are purchasing, those who view the item in subsequent situations (e.g., someone wearing the product) will be confused. Cheap counterfeiting cases are a classic example – the confusion is not of the buyer but onlookers. Adidas advanced such an argument. It did not argue that purchasers of Skechers’ products would be confused – and the Ninth Circuit noted that such an argument would be implausible “because the Cross Court contains numerous Skechers logos and identifying features. Rather, Adidas argued only that after the sale, _someone else_looking at a Cross Court shoe from afar or in passing might not notice the Skechers logos and thus might mistake it for an Adidas.” While that argument was accepted to establish likelihood of success on the merits, it faltered in showing irreparable harm. As to irreparable harm, according to the majority in Adidas, Adidas presented only a “narrow argument,” namely “that Skechers harmed adidas's ability to control its brand image because consumers who see others wearing Cross Court shoes associate the allegedly lesser-quality Cross Courts with adidas and its Three-Stripe mark.” Although the dissent argued for other forms of irreparable harm, the majority declined to consider them, as they had not been pressed either below or on appeal. Adidas’ argument had two basic flaws. First, Adidas failed to present sufficient evidence to show that consumers view Skechers as a lower quality “value” brand. How would consumers who confused Cross Courts for adidas shoes be able to surmise, from afar, that those shoes were low quality? If the "misled" consumers could not assess the quality of the shoe from afar, why would they think any differently about adidas's products? How could adidas's "premium" brand possibly be hurt by any confusion? Indeed, such a claim is counterintuitive. If a consumer viewed a shoe from such a distance that she could not notice its Skechers logos, it is unlikely she would be able to reasonably assess the quality of the shoes. And the consumer could not conflate adidas's brand with Skechers's supposedly “discount” reputation if she did not know the price of the shoe and was too far away to tell whether the shoe might be a Skechers to begin with. In short, even if Skechers does make inferior products (or even if consumers tend to think so), there is no evidence that adidas's theory of post-sale confusion would cause consumers to associate such lesser-quality products with adidas. Adidas irreparable harm argument was one of tarnishment of Adidas’ reputation as a premium brand by negative association with a “discount” quality item. But the Skechers logos would dispel confusion when the sneakers would be viewed up close, and the supposedly low quality would not be discernible when viewed from afar. The two requirements – confusion and negative associations – would simply never occur together. The dissent noted another theory of irreparable harm: “consumers could acquire the prestige value of the senior user's product by buying the copier's cheap imitation.” This in turn leads to loss of sales and cheapening of the senior user’s brand. This “stolen prestige” theory was recognized as early as In Mastercrafters Clock & Radio Co. v. Vacheron & Constantin-Le Coultre Watches, Inc., 221 F.2d 464 (2d Cir. 1955). Although the dissent argued that the two forms of harm – tarnishment and stolen prestige – are the same, they are really not. Tarnishment rests on the confused onlooker drawing a negative opinion about the product. Stolen prestige, on the other hand, rests solely on the onlooker being deceived in to believing that the item is a premium or “prestige” knockoff when it is really a cheaper imitation. Develop all applicable theories of irreparable harm – Adidas discussed two and there are other recognized forms, such as loss of goodwill and commercial reputation. Relying on only one theory runs the risk of having it rejected. Irreparable harm theories should be supported by concrete evidence – Each step in an irreparable harm theory may well be scrutinized by a court – and there should be a solid evidentiary basis for it. While Adidas put in ample evidence that it is viewed as a premium brand, its evidence that Skechers is viewed by consumers as a lesser quality “value” brand was scant, and rested on testimony of its own employees, which many courts view with skepticism. Adidas would have been well advised to present additional evidence – such as industry experts, or media comments, to support its thesis. Consider the totality of the circumstances – for both confusion and irreparable harm – In trademark cases, courts must consider the totality of the circumstances as to how the trademarks and goods are presented and viewed when determining likelihood of confusion. Context matters – and that includes, as Adidas illustrates, use of a house mark or logo along with the infringing mark. Adidas shows that this applies at two levels: whether there is confusion and whether there is irreparable harm, and a court may reach different conclusions on the two issues. A “preliminary injunction is an extraordinary and drastic remedy,” Munaf v. Geren, 553 U.S. 674, 676 (2008), and may only be awarded “upon a clear showing that the plaintiff is entitled to such relief.” Winter, 555 U.S. at 22. Courts have taken the Supreme Court’s admonition to heart, and now carefully scrutinize the basis for a request for injunctive relief, including trademark cases. Trademark counsel cannot take for granted that a court will find irreparable harm likely in any given case. Presenting a well-reasoned and well-supported case for irreparable harm is crucial.